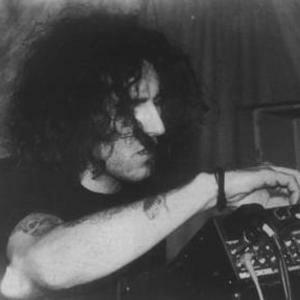 Eat Static is Merv Pepler, an electronic music project from England, UK formed in 1990. Joie Hinton left the group in February 2008 after 18 years to spend more time with his family. Merv Pepler and Joie Hinton met as drummer and keyboard player (respectively) for the Ozric Tentacles, a long-standing psychedelic "space-rock" band from Somerset. Although the Ozrics incorporated elements of electronic music, Pepler and Hinton were drawn towards the rave-oriented dance music. Merv Pepler and Joie Hinton met as drummer and keyboard player (respectively) for the Ozric Tentacles, a long-standing psychedelic "space-rock" band from Somerset. Although the Ozrics incorporated elements of electronic music, Pepler and Hinton were drawn towards the rave-oriented dance music. In 1988 they collaborated on a project under the name of Wooden Baby which hinted at early rave and techno sounds as well as numerous other styles, and by 1990, the project had evolved in to Eat Static. Pepler explained: "There we were in Ozrics doing all this technically impressive, weird music with mad timings, and getting really involved with it, and this experiment that became Eat Static was a good excuse to ignore all that, get the synths out, and be as stupid as we could!" The duo toured in parallel with the Ozric Tentacles for several years until 1994, when they left the band to pursue Eat Static full-time. Pepler and Hinton are often joined in the studio by Eat Static's invisible third member Steve Everitt. Pepler is featured on the 2006 Ozric Tentacles album 'The Floor's Too Far Away', playing percussion on the track 'Armchair Journey'. Their first album release, Abduction, immediately established the extra-terrestrial/U.F.O. obsession which is a running motif in their samples, track and album titles, and release artwork. The band's name is taken from a sample (as found on the track Eat Static) from Star Trek II: The Wrath of Khan. On 6 February 2008, Merv announced on the Eat Static website that Joie was leaving as "he has had enough of all the travelling and being away from home and family". According to Merv, Joie had "just [been] to one party too many". However, Merv stated that he would continue to perform and produce under the Eat Static name as a solo project. He also hinted that there would be more scope for collaborations in the future. Although most often associated with the psychedelic trance genre, the band actually span almost all forms of dance music, including drum and bass, (acid) techno, trance, hard tek, prog house, IDM, ambient and breakbeat. As such they are well-compared to other hard-to-categorise children of the British rave scene, like The Prodigy, Underworld, Orbital, Aphex Twin and Leftfield. The electronic elements are frequently mixed with elements of Latin and world music, jazz, which helps to give the band's work its distinctively tongue-in-cheek humour, along with the often kitsch vocal samples from B-Movies and TV. Despite the quote above, Eat Static are also notable within dance music for their frequent use of time signatures other than 4/4.